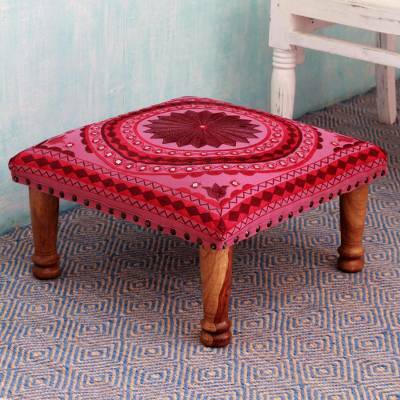 India's Ganpat Mehta presents this extraordinary foot stool in pink and red hues. Centered by a florid mandala, the lavish composition is embroidered by women artisans in Rajasthan. Brass rivets secure the cotton seat on the stool with mango wood legs, which are removable. Perfect product as in the description and excellent delivery.